Imagine if a prominent mayor and senator spoke at an organization founded by white supremacists convicted of plotting to murder [name religious or ethnic group here]. Imagine that the organization also happened to have prior members who murdered innocent people in the name of white supremacy and yet additional members who were serving prison sentences for their roles in various plots to hurt [name religious or ethnic group here]. 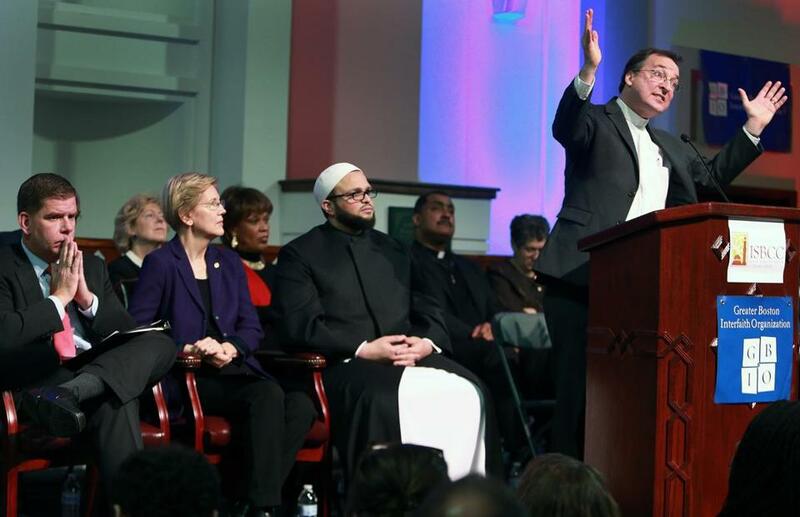 But there is precious little discussion in the mainstream media about the attendance of Sen. Elizabeth Warren and Boston Mayor Marty Walsh at the terror-linked Islamic Society of Boston Cultural Center on Sunday night at an event sponsored by the Greater Boston Interfaith Organization. Both of these allegations are verifiably false. And there is the minor detail that the Islamic Society of Boston has ties to numerous Islamic terrorists. As reported at the NY Post by Paul Sperry in September, 2014, the most famous members of the Islamic Society were Boston Bombers Tamerlan Tsarnaev and his brother Dzhokhar. 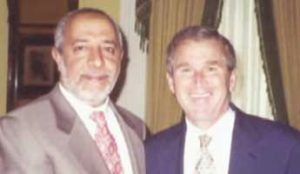 ?Abdurahman Alamoudi, the mosque’s founder and first president, who in 2004 was sentenced to 23 years in prison for plotting terrorism. 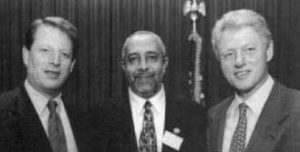 In 2005, the Treasury Department issued a statement saying Alamoudi raised money for al Qaeda in the US. ?Aafia Siddiqui, an MIT scientist-turned-al Qaeda agent, who in 2010 was sentenced to 86 years in prison for planning a New York chemical attack. Known as “Lady al Qaeda,” she is related to 9/11 mastermind Khalid Sheik Mohammed. ISIS has tried to trade her release for journalist hostages. ?Tarek Mehanna, who in 2012 got 17 years in prison for conspiring to use automatic weapons to murder shoppers in a suburban Boston mall. These words would be inspirational if they were not based on an entirely false premise, and that is that the election of Donald Trump has empowered racist white Americans to commit hate crimes. It is a lie reminiscent of that which fuels the “Black Lives Matter” movement, similarly based on the entirely false premise that white police officers are indiscriminately murdering black Americans. It should be noted that several prominent citizens published an open letter to Senator Elizabeth Warren and Mayor Martin Walsh expressing concerns about their appearance at a terror-linked mosque. But it went ignored.